BGO GIVES 10 BONUS SPINS NO DEPOSIT WITH NO WAGERING REQUIREMENTS! BGO gives 10 bonus Spins No Deposit Required, No Wagering Requirements, No Max Win. Isn't that an awesome bonus?! Just sign up for a new account and confirm your mobile number to get 10 bonus spins that you can play on any of this slots Fishin' Frenzy, Eye of Horus, Slots O' Gold or Diamond Jackpots. Simply use bonus code 50FS to make your first deposit with BGO. You’ll then get 1 Free Spin for every £1 you deposited, up to a maximum of 50 Free Spins. make the first deposit of £20 and you’ll get 20 Free Spins. make the first deposit of £30 and you’ll get 30 Free Spins. 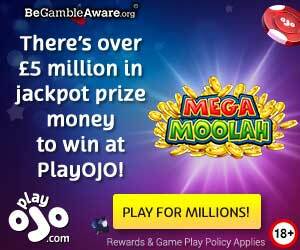 Or make the first deposit of £50 and you’ll get £50 Free Spins.